"We love Rocking Horse Nursery! It is a home away from home for our son. Benjamin attends nursery full time and he is always happy when we drop him off and collect him. We cannot find any fault with the staff. They are excellently trained and they really know our son and have his best interests (and ours) at heart. As parents, we get the feeling that Benjamin is well loved by everyone at Rocking Horse. Rocking Horse gives Benjamin the opportunity to grow, develop and explore in ways we never could have imagined possible. Thank you for all that you do!" "Rocking Horse is a wonderful nursery where my son is very happy and settled. The staff really are an extension to our family taking into account Henry's individual needs. He is very happy there and runs in everyday ready to play. I can not recommend it highly enough." "Rocking Horse Nursery provides us with the confidence that our son is in the best possible place if he is not with us at home. It is has excellent facilities to stimulate, educate and develop him. The staff are well experienced, friendly and are happy to work with us for the best for our child as an individual and for his needs. We could not ask for more from a nursery!" You all do a wonderful job..."
"Our daughter Grace has been at Rocking Horse for 18 months now and is very happy there. The staff have been excellent all through the different rooms she has progressed through and are very caring and attentive. Communication from the nursery is great and we always know what's going on via email, noticeboards and interaction with the staff. Grace has made some excellent friends here which has also led to us parents becoming friends too. I would have no hesitation in recommending Rocking Horse to others"
"I have been overwhelmed by the friendly welcome we have received from the staff at Rocking Horse since my son started there two months ago. It feels like I have known them for years! The rooms are clean, spacious and full of brilliant play things. The food is prepared freshly onsite and my son always has seconds. 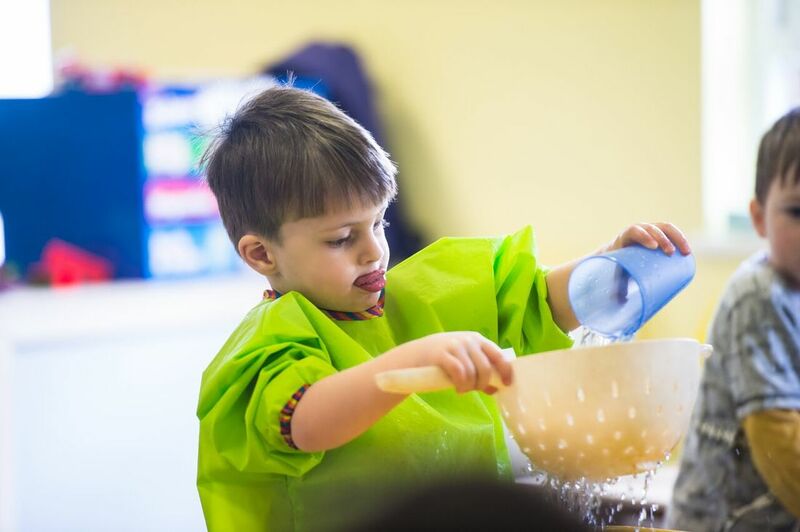 The children are encouraged to try creative and messy play and are often enjoying new sensory activities indoors and outside. The staff are great at telling parents what the children have been up to and they seem to know my son really well. They care about him as an individual. I have experienced several other nursery settings in the area and Rocking Horse is a cut above the rest. But shhh...we don't want everyone to know!" "We're only a few weeks in but so far we are very happy and most importantly both of the kids are. The boys have so much fun both in the baby room and the pre-school. The staff are wonderfully warm, welcoming and fun - and create a fantastic environment for the children. Thank you!"